Shower of Roses: A Few More Jesse Tree Resources and a Link-Up! Advent begins tomorrow! I just pulled out our Advent Wreath, Advent Calendars, and hung up our Jesse Tree. This year's Advent & Christmas Books (I'm working on a post with this year's list) are wrapped and ready to start reading, our new Advent CD just arrived, and I spent most of today finishing up a couple handmade gifts. I still have a few things to purchase, a Family Christmas Photo/Card to come up with, and a couple birthdays to plan, but for the most part I am ready to enjoy the seasons of Advent and Christmas! I know many of you have been making Jesse Trees for the first time this year and I have a few more resources to share with you all! The following will also come in handy for anyone who (1) is using our family's version of the Jesse Tree, (2) hasn't had a chance to make or purchase their own Jesse Tree and needs something quick and easy, or (3) is looking for an additional way to enhance their current Jesse Tree Study. 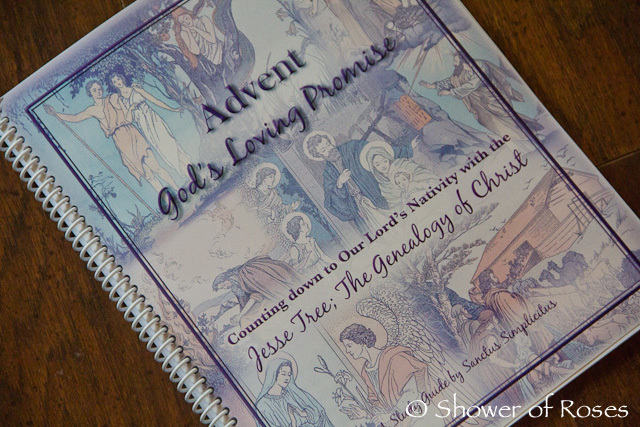 You can also find additional Jesse Tree Resources I have shared in the past here: Links for Advent.
.: The Jesse Tree Booklet :. I have been meaning to provide you all (and myself!) 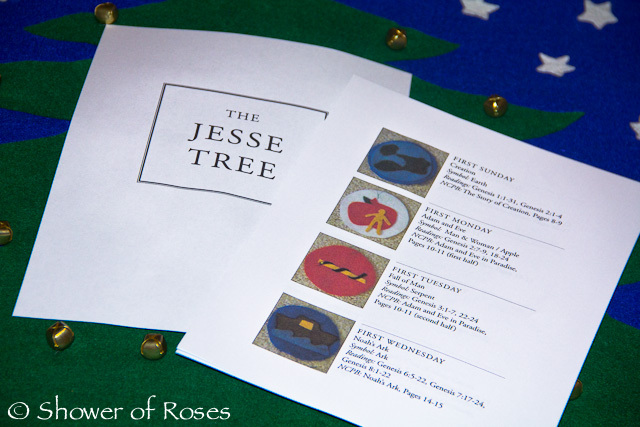 with a printable to use as an easy reference to the readings we use for our Jesse Tree. I started making one, but kept getting stuck on how to lay it out in a way which could be used every year, despite the length of Advent changing. One of my visitors here did it for us, and has allowed me to share her document with you all! I've already printed out the pages and added them to my binder. Thank you Kelly!
. : Colorable Jesse Tree Ornaments :. Charlotte also has a new free printable! 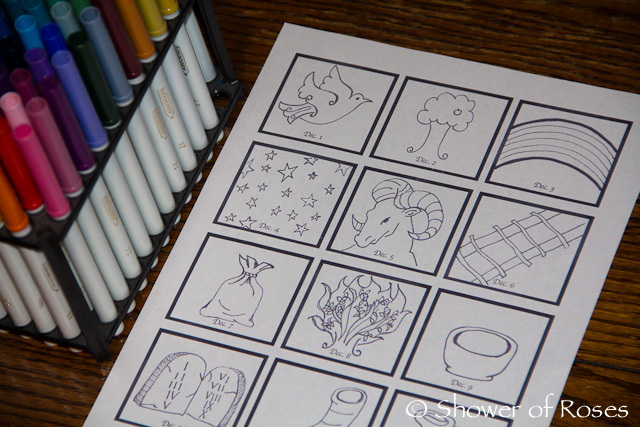 She illustrated these Colorable Jesse Tree Symbols to go along with her own Jesse Tree and the reflections that her sister-in-law Erin will be posting this Advent. In the past I provided my children with coloring pages for each day, and you can still find those links in my archives, but as my children have gotten older (and multiplied!) we just don't have the time for this anymore. 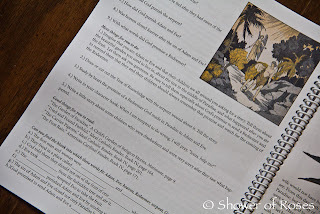 I am very excited to have this resource for my little Kindergartner and Pre-schooler!
. : Jesse Tree Study Guide :. Although I didn't have any plans to expand our Jesse Tree Study this year, after receiving a review copy of this brand new Jesse Tree Study Guide, I've changed my mind. This book is beautifully compiled using public domain illustrations and text from out-of-print vintage Catholic Books! 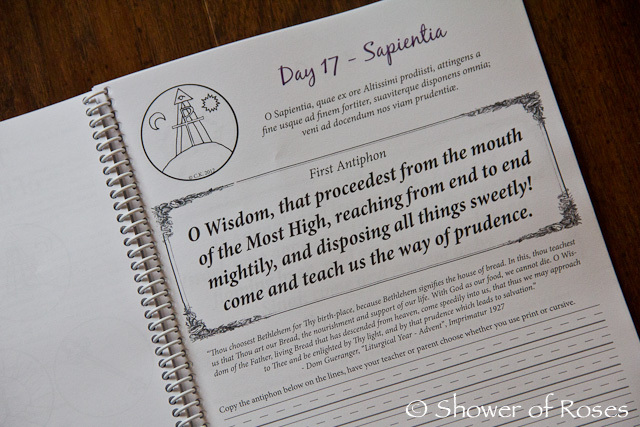 In addition to the excellent Catholic lessons included, I love the copywork pages that are scattered throughout the book, including the pages for the O Antiphons! I'll be printing out copies of these for my children to complete this year, in addition to our O Antiphon treats and activities. Update: Unfortunately this book is no longer available.
.: Jesse Tree Link Up :. Do your family traditions for Advent include a Jesse Tree? Did you make your own Jesse Tree and/or Ornaments this year? Or did you perhaps participate in a Jesse Tree Swap? I'd love to see pictures! 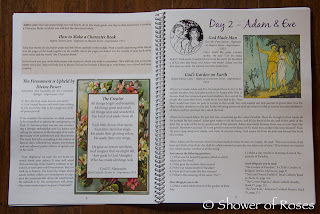 Last year I hosted an Advent Link-Up for everyone to share their Favorite Advent and Christmas Books. 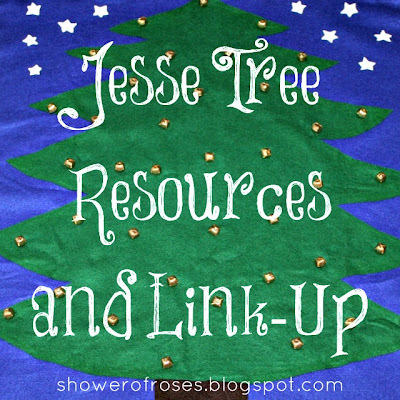 This year I thought it would be fun to host a link-up for everyone to share their Jesse Trees! 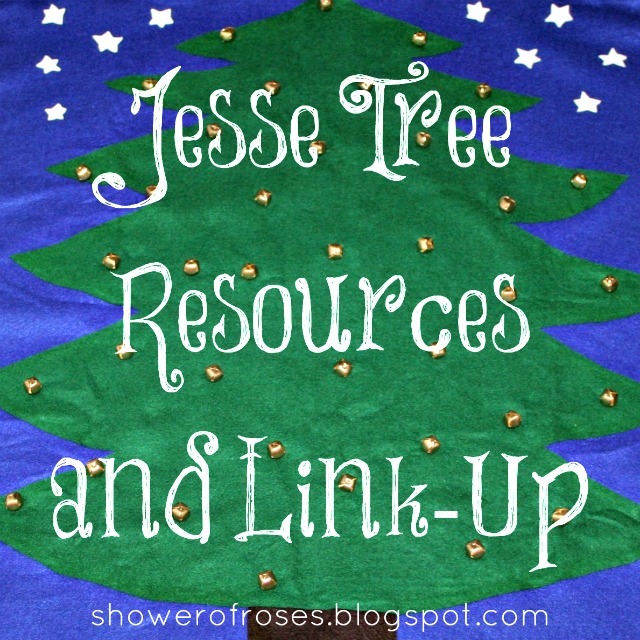 Please add a link to your Jesse Tree blog post below, and be sure to share the link to this post so that everyone can find the link-up. I'll get it started with a few of my own past Jesse Tree posts! :) This link-up will remain open throughout Advent, so be sure to take some pictures over the next few weeks to share! 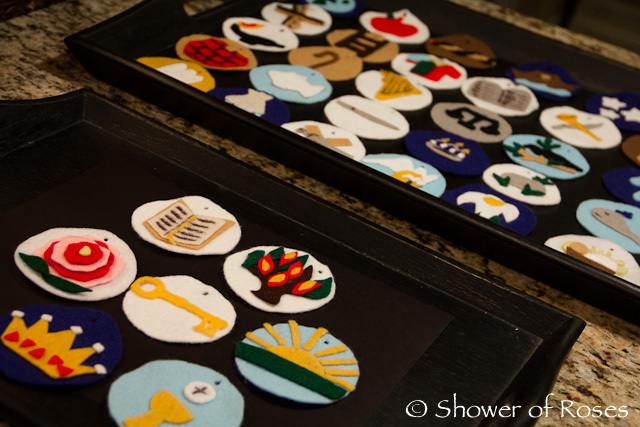 i love the FREE printables offered by Sanctus Simplicitus - traditional to the max! i love them so much that i scrounged enough money to purchase their advent study guide. i am not disappointed and happy that i could support them in their efforts to share the riches of the faith. DEO GRATIAS! i'll be linking up my recent jesse tree posts. i always enjoy your parties. your inspiration reaches far and wide. may you have a blessed and peaceful advent. Awesome resources Jessica and I can't wait to look at them more closely when I can. Thank you! I love doing the Jesse tree but I cannot find a space to hang ours in this new place of ours (that isn't out of sight). It's a felt one like yours. I may have to change what we do while we're in this house. I love all the links you always provide, you are my "go to" girl! We made our tree, but not all the circles...thought we might do a few each day, the kids enjoyed making it with me! I have a question, do we start at the bottom of the tree and work our way up, putting Jesus at the top? Yes...that's it, right? The other question, any way you could show a picture of your completed tree? With all the circles on it? Just for us visual people? Here you go: You can see sort of see it in the background of this St. Lucy post from last year and you can also see it at the bottom of this post. I don't think there is a right or wrong way to display the ornaments. Our family has always seemed to start at the top and work our way down the tree. Someday I would like to create a 12 days of Christmas add on (Nativity scene) to place at the bottom of our banner as well - like this one from Leaflet Missal. As far as offering a quote from Maria von Trapp's book (or any other book/website), as long as you provide your source and give credit to the citation, it should be fine - no different than citing for a paper, published article or book. Unless the web has some sort of different "set of rules", that's the way it's always been done. If you quote word for word at least 3/4 words, then you need to provide quotations and a citation, otherwise you would be plagiarizing said material. Of course one is allowed to paraphrase in one's own words, but even then the source may be provided. Thanks for all your resources, too! I saw the resource guide over at Sanctus Simplicitus - it looks wonderful! I love so much of their offerings and TRADITIONAL! Nice! Yes, those were my thoughts, even though it is just a section of the book and not the whole. Kelly did a beautiful job and I'd love to find a way to share her work with everyone. Hmmm... Maybe I could just email a copy to whoever would like it, without publishing it online! please email me a copy if his is the route that you decide is best. thanks. Yes, if you go the email route, please include me on that list. Maybe you could do a post about it and then whoever would like to have it sent to them could have her name included on your "emailing list". Is this "ok" to do, I wonder, too?!?!?!??? And thank you for your kind and encouraging words about my blog! I've never commented before, but I love your blog! Our family started doing the Jesus Tree at Lent this year because I learned of it here. We've been using our Jesse Tree in various formats for a few years now...we started out with a poster on the wall, and black and white photocopied ornaments, but we've graduated to laminated cardstock ornaments that we colored together, and we even found a small, lighted Christmas tree on clearance to hang them on! Advent is my favorite time of year...I love waiting and preparing for the coming of Christ! Is there any way to get that Jesse Tree Study Guide?